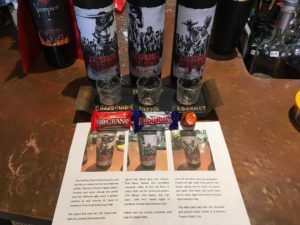 Stop by the wine shop from now through Halloween and try our candy and wine flight — three of our Walking Dead Wines paired with fun-size treats. The Walking Dead Chardonnay, aged for six months in French and American oak, goes well with the toasty caramel of a 100 Grand bar. The Blood Red Blend pairs with the creamy chocolate and nuts of a Baby Ruth. And the flavors of dark black fruit and notes of mocha and spice in the Cabernet Sauvignon are a great match for a Reece’s Peanut Butter Cup. 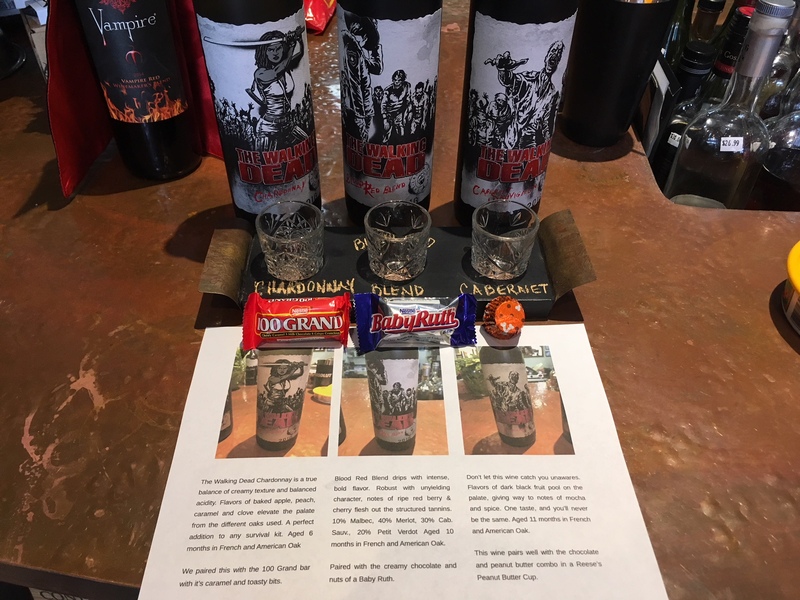 Download the Living Wine Labels augmented reality app and watch the labels on the Living Dead wines come to life!